In this AW2018, Fancl changed their Active Conditioning Basic Lotion & Emulsion to “Moist Refine” Lotion & Emulsion. 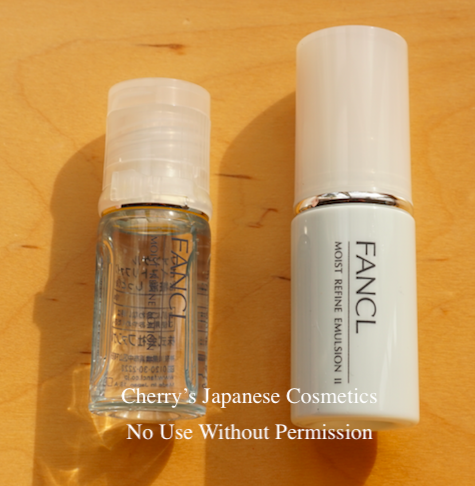 I have used Fancl “Blue” aka “Basic” Lotion & Emulsion are routine, and did not know whether it is still nice to me or not. Luckily I found they were selling small bottles, and thought it is the time to use. I am afraid that some of you ask me to ship to you this small size, but it is limited, and they set #02 Moist only (there are no small bottles of #01 Light). 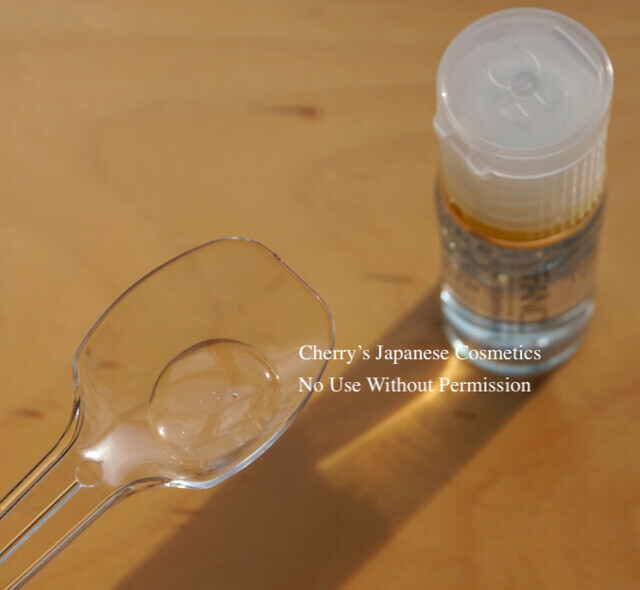 I (Cherry), often have big “crush” of my skin in Spring. I had thought myself was a skin care monster, but seems just a junky. All I needed were items with no sting for me. Second was moist pretty well, especially water level. There are some nice oils like Horse Oils etc. So, in my experience, I know Fancl, Albion (Especially Excia AL), Cosme Decorte AQMW rarely give me sting, and Fancl is no perfume, and less oily. I repeated Fancl for more than 15 years, I was 19 years old university student. Fancl is the very “friend” of me. They change the formula every few years (2 years?) . Oh, before talking about my review, I should better to tell you the method of Fancl. I used #01 Light for years, but currently, I choose #02 Moist. 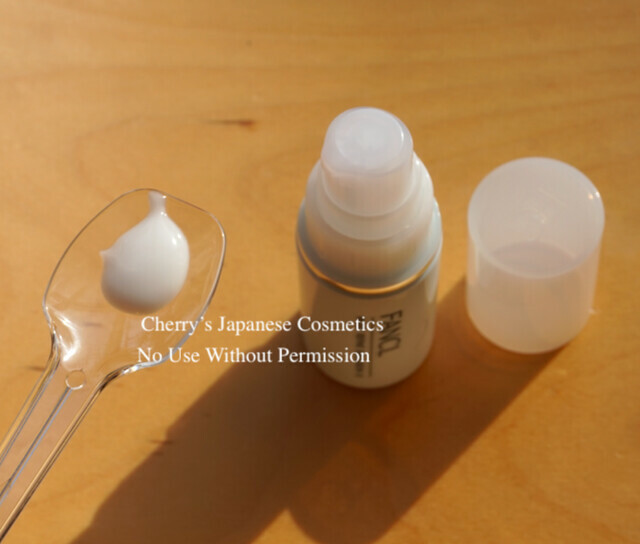 There are many brands, like Albion, Kose, Shiseido… they often recommend to use cotton to apply their lotion & emulsion. But Fancl does not recommend to use cottons. I guess they may afraid of cottons are scratching your skin. Anyway, let me show you may want to apply Fancl Lotions. Put my hands together, and wrap my face to apply. That’s simple way, and I like it. I am feeling this is more “moisture” type than previous. Oh. My skin is drier, but actually combination with super dry and oily. I am afraid of it will be too oily for my summer skin. I guess I should better to back to #01 Light Lotion on Summer. Oh, I should better to tell you one more thing; there are neither sting nor sensation for me! GOOD! It is really easy to apply. It is also nice that they did not change the price, the cost of the case would be rose up because of this pump. This is also the reason why I like Fancl. I also do not use cottons to apply emulsion. Just apply on my palm (3-6 pushes), put my hands together, and wrap my face. Hmm, I had felt Fancl’s emulsions are less oily. They are using Vegi-oils, like nuts, and I felt #02 Moist is a little bit oilier than used to be, as I remember. Some will describe as “richer”. I also afraid of this will be too oily for my Summer skin condition. It was really good that knowing this formula is also good for my skin. It is “richer” than previous formula, but it is Dec, and it is drier and drier everyday, it is Autumn. It will be really good or this Autumn to early Spring. For me, it is nice, but the Emulsion can be oily. If you insist you are an oil prone, try Orbis U, what seems not use oil. If you are looking for something, no perfume, no plant based special ingredients, no ethanol, these Fancl Moist Refine Lotion & Emulsion are one of my suggestions. Please check the latest price, and order from here: Fancl Moist Refine Line. Lunasol Watery Primer is full of glitters!